Telephone: (225) 664-1400 AND PLEASE LEAVE A DETAILED MESSAGE. PHONE CALLS ARE RETURNED AT 10AM AND 2PM DAILY WHENEVER POSSIBLE AND WHEN ATTORNEY IS NOT IN COURT OR OUT OF THE OFFICE. NEW CLIENTS: Please leave a detailed message to include your full name, your spouse or ex-spouse's name, and your email address so that a 'conflicts' check can be run (to make sure your spouse or partner has not previously retained Pugh Law Firm). You will receive a reply email once a conflicts check has been run. OR, EMAIL CHARLOTTE@PUGHLAWFIRM.COM with the above requested information. All appointments will now take place at the Baton Rouge office. However, Ms. Pugh will continue taking Livingston Parish cases along with East Baton Rouge and Ascension Parish cases. Telephone appointments are available also, provided the initial one-hour consult fee is paid in advance. Charlotte A. Pugh is the owner of Pugh Law Firm, LLC., is a former member of the Baton Rouge law firm of Lindsay, Marcel, Harris & Pugh, LLC. and the Denham Springs law firm of Harris & Pugh, LLC. In 2004, Charlotte A. Pugh formed her own law firm, Pugh Law Firm, LLC, where she continues to practice law primarily in Livingston, East Baton Rouge, West Baton Rouge and Ascension Parishes. Charlotte Pugh practices primarily in the area of Family Law, including Divorce, Custody and Community Property Issues, and Personal Injury/Speciality Litigation (trial work). 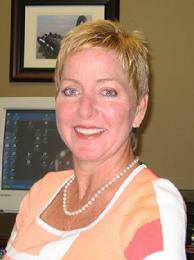 She is also a certified mediator in both civil cases and family law.